Do you need to prove to your immediate head or your human resource officer that you got to see a doctor when you are sick? A doctor’s note is all you need. Also known as a sick note or a doctor’s excuse, a doctor’s note is a legal document signed by the doctor issuing the note confirming that the patient is sick. It provides a summary of the findings made by the doctor. If you are planning to make your own doctor’s note, you may refer to the doctor’s note for work templates and examples presented below. 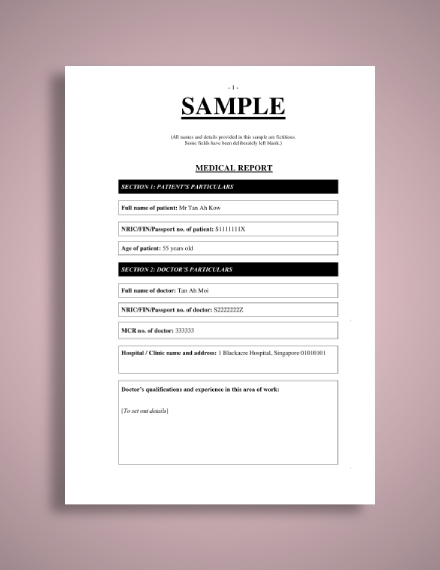 Every doctor needs to have his or her own doctor’s note template to be issued to their patients to help them prove to their work that they are indeed sick. 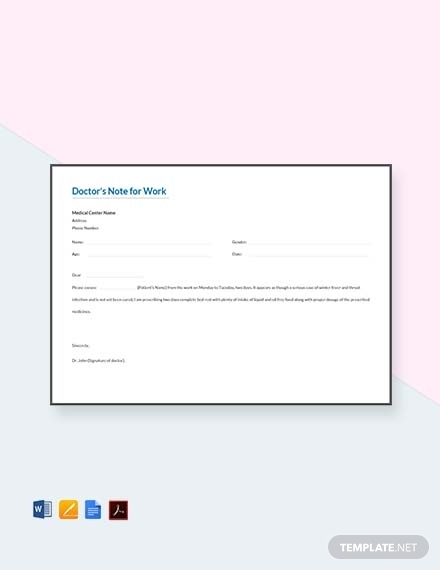 Available in different file formats, MS Word, Apple Pages, and editable PDF, this doctor’s note for work template is easy to use and edit. You can edit or modify the contents and tailor it to fit your needs or personal preference. Most companies have a policy that when an employee is absent because of sickness, he or she will need a doctor’s note in order to certify that he or she indeed had an appointment with a doctor. In this case, a doctor’s excuse note is needed. 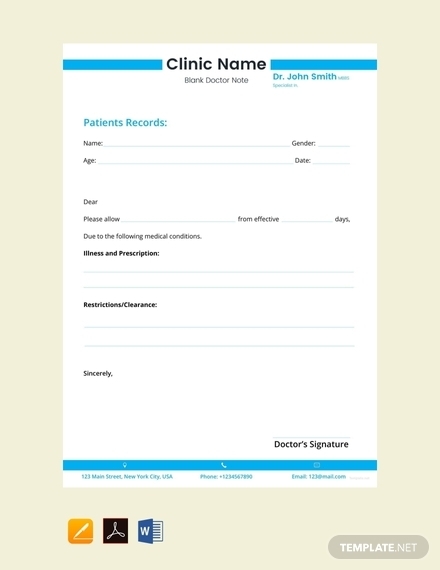 You can use the template above and let your doctor sign it to make the document valid. It is available in different file formats, such as editable PDF, Google Docs, MS Word, and Apple Pages. In the case when you have already recovered from illness or injury and you want to return to work, your human resource officer might want to confirm that you are indeed fit to return to work. Hence, you need to provide them with a return to work doctor’s note. This legal document is issued to the patient allowing him or her to continue working after recovering from a certain injury or illness. You can refer to this template, which is available in MS Word, Apple Pages, and editable PDF, in case you need one. A doctor’s note typically states the illness or injury of the patient, medication or type of treatment required, diet chart, and resting phase. Apart from providing the patient findings made by the doctor and details of the medical advice, a doctor’s note is also helpful to the patient as this can be sent to the HR officer proving and confirming his or her sickness. You can use the template provided above in case you need one and let your doctor sign it. 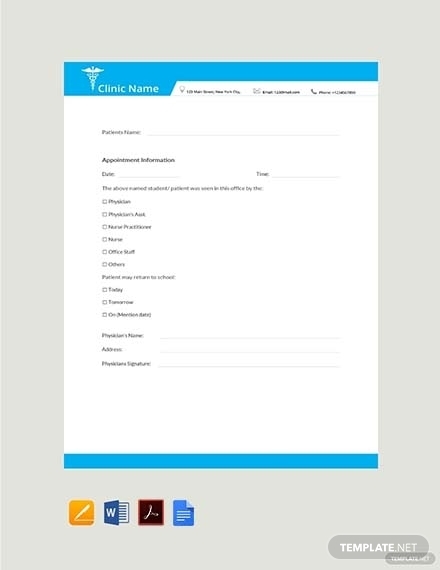 Every clinic must have its own template for doctor’s note as this can be used to note the details about patients who are admitted to the clinic as well as the results of the checkup and tests. 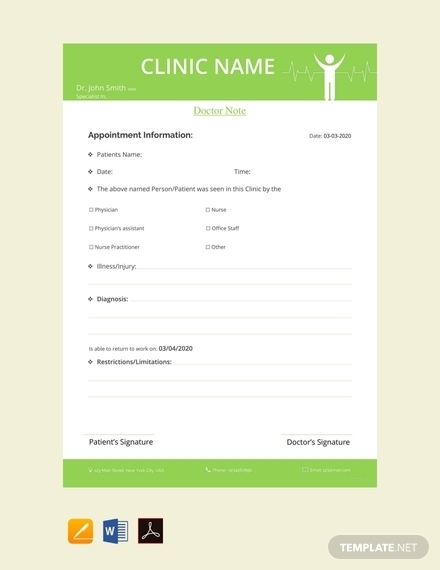 This template can surely help you or your clinic when creating a doctor’s note. This is very convenient since this is ready-made, free to download, and available in different file formats, including MS Word, Apple Pages, and editable PDF. 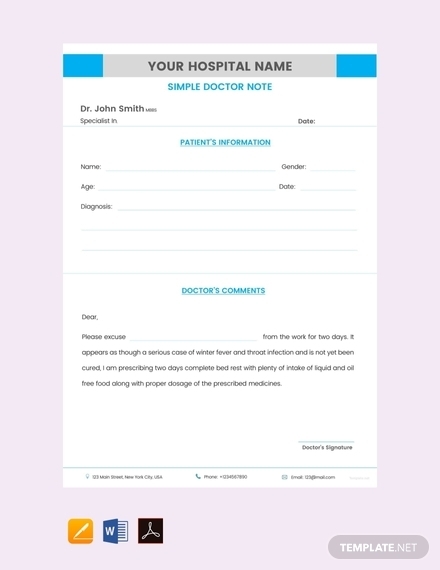 This blank doctor’s note can be used not just for excusing the patient from his or her work but also for providing details about the checkup, the nature of the illness, the appropriate treatment or medication, and the resting period. 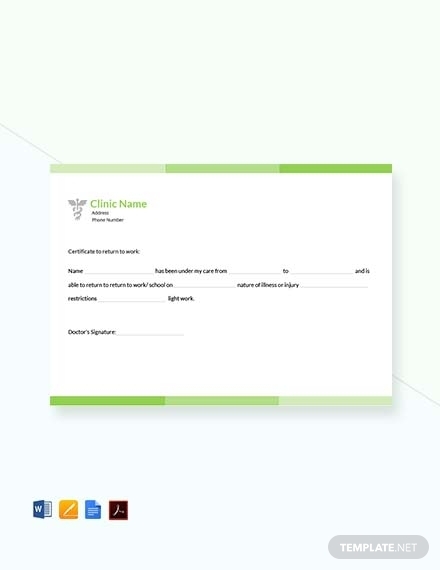 This would help you create a personalized and customized sheet for your doctor’s note as it is available in many file formats—Google Docs, MS Word, Apple Pages, and editable PDF. Similar to any other doctor’s note, this document can be used to provide information about the condition of the patient, medical advice, prescription, resting period, among others. 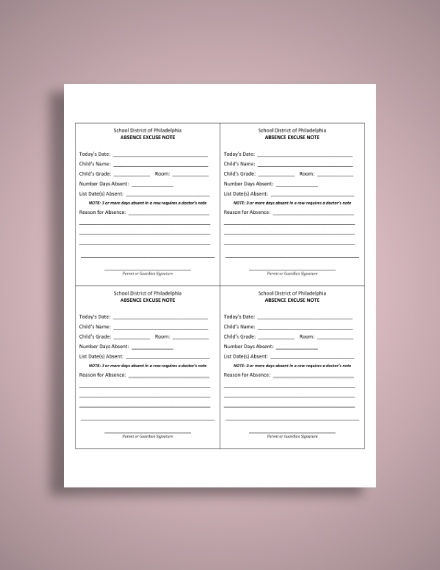 This template is free to download and easy to edit and customize. So, choose from the different available file formats now and customize the template to fit your preferences. Need to secure a doctor’s note or medical report? You can refer to the examples above for the information that you must include in the document. Typically, it contains the patient’s and doctor’s particulars, patient’s medical information, patient’s clinical history, findings from physical or mental examination, date of examination, investigation results, diagnosis, prognosis, declaration, explanatory notes, among others. Need to take a leave from work because of illness? You need to provide your company with a doctor’s note to verify that you were indeed ill. Just like a typical doctor’s note, it provides the findings of the doctor and the appropriate medication. You may refer to this example in case you need to create one, and let your doctor sign the document to make it legit or valid. This excuse note is suitable for an emergency absence or short-term leave. This must be filled out by the doctor so it can be considered an official document certifying the presence of an illness or injury and authorizing the patient to take time off to recover. We hope that you learn something from this discussion and that the templates and examples of doctor’s note for work provided above help you in creating a well-designed doctor’s note. So, feel free to check out these templates and examples again the next time that you create a doctor’s note, for these can surely help you in crafting a note that is professional and presentable.